Nashville is by far one of my favorite cities in the United States. 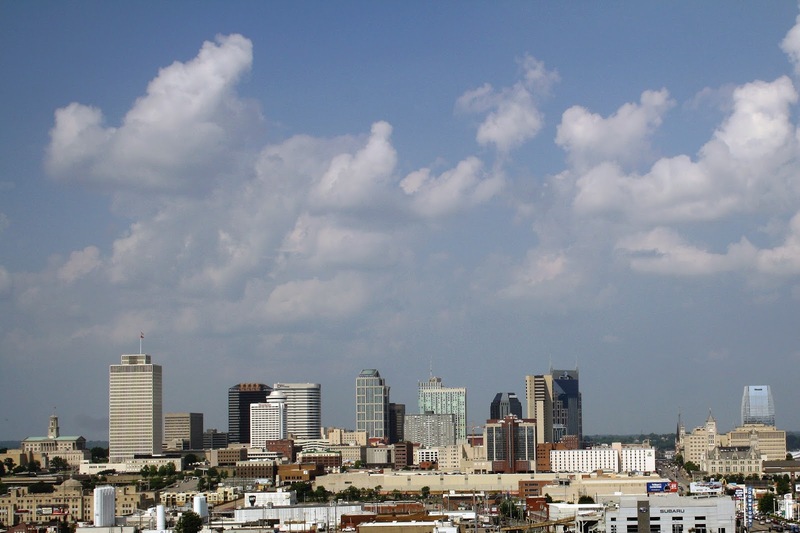 Known for it's music, nightlife, and delightful twang, Nashville has a little something for everyone. 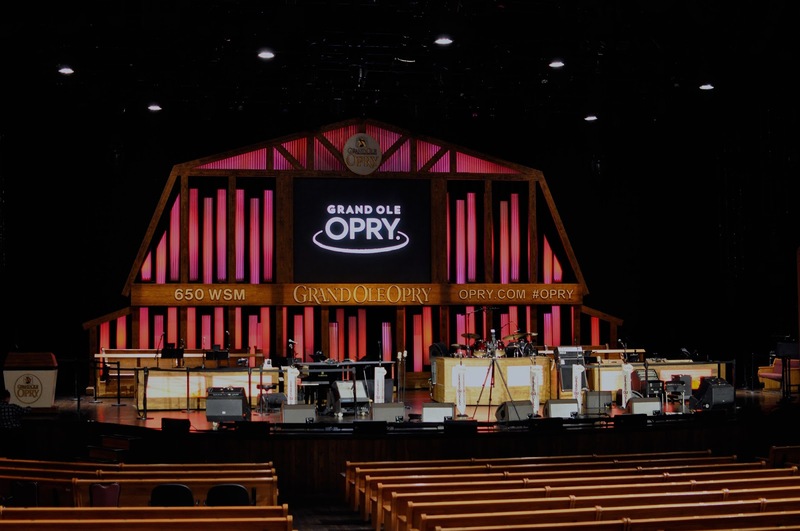 Whether you're a sucker for a boot scootin' boogie, a history buff, an artist at heart, or just love to indulge in local flavor, Nashville will feel like home away from home, no matter where you're from. I've broken up my favorite places into categories. 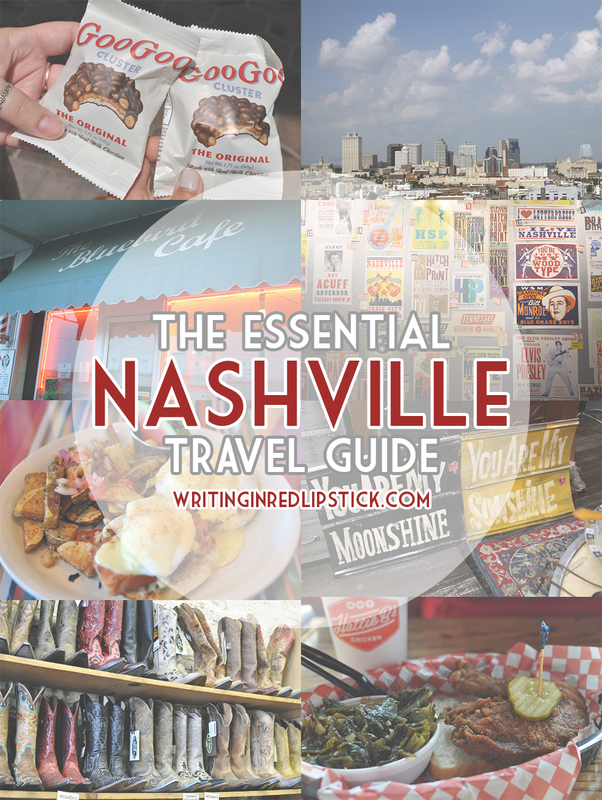 If you visit any of these places on your next visit to Nashville, I would love to hear your thoughts! 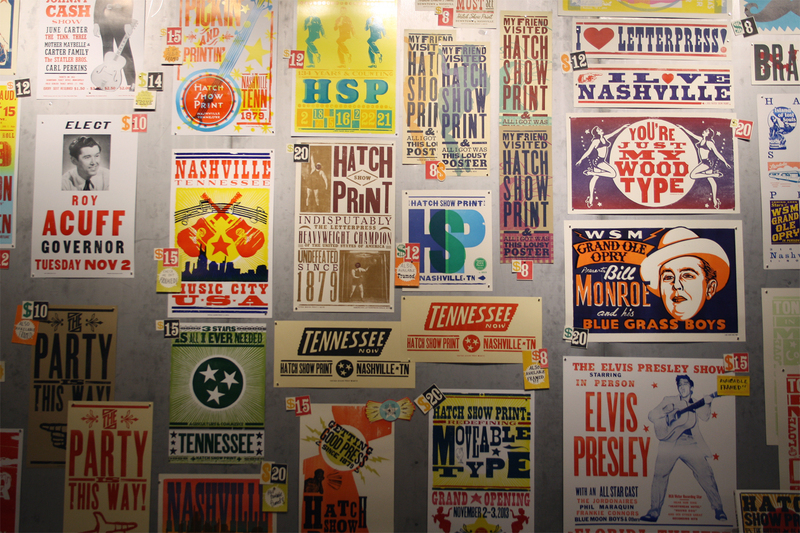 Hatch Show Print is the quintessential place to soak in some Nashville history. One of America's oldest letter-presses, that is still in commission making the iconic posters that take you back to the hayday of country music. Take a gander at their gallery or stop by their gift shop, or you could even have your own poster created (for a pretty penny, I'm sure.) I picked up a poster of a funny southern saying on my last visit, and it's still one of my very favorite things I own. Just a little bit outside of Nashville is one of America's largest and most famous distilleries. 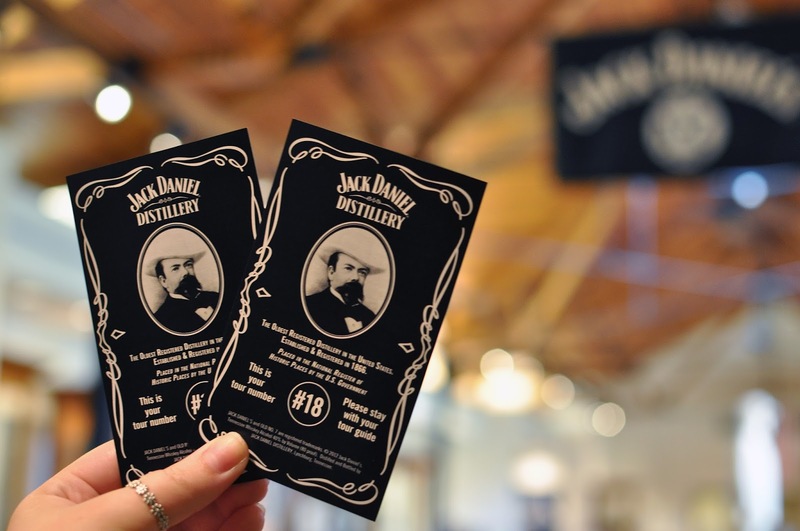 Spend an afternoon taking a tour of the grounds and you'll see how Tennessee Whiskey is made and get a good dose of history along the way. JD's also offers tastings and exclusive bottles of the famous libation that you can't get anywhere else. Though I'm not usually one to head to the most touristy locations on a trip, the Grand Ole Opry is one I'm glad I stopped by. 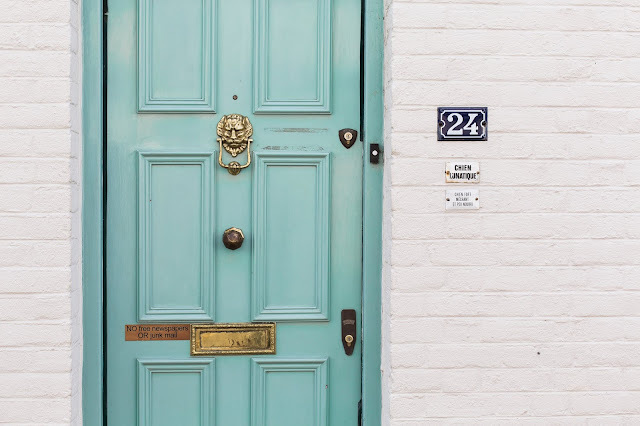 Get a full tour filled with backstage secrets, dressing room visits, and behind the scenes views, or even belt it out when you walk across the stage if you're feeling courageous. It's definitely worth a visit. I've said a few times here and there that it's my mission in life to eat Eggs Benedict in every major city in the world. 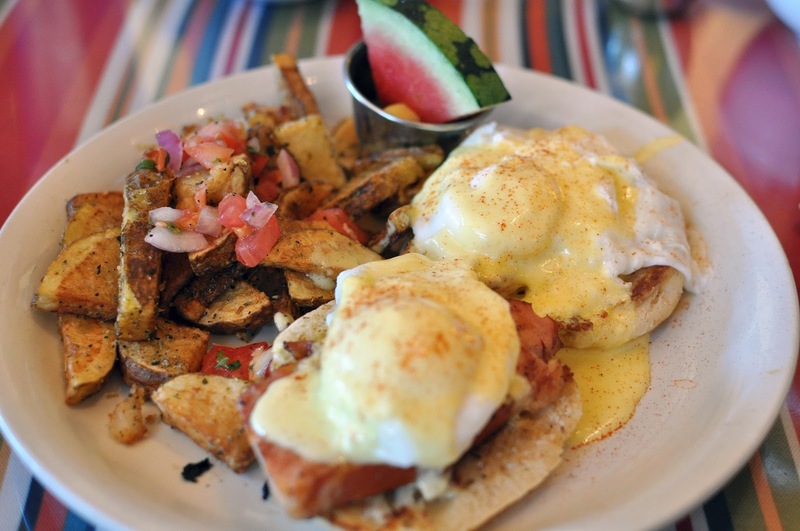 I might be on to something, because the Eggs Bennie at Sky Blue cafe in Nashville was out of this world! Their Nutella banana pancakes are also worth a bite. So good! Honorable mention: The Frothy Monkey - if you're more into coffee shops, The Frothy Monkey in nearby Franklin has a great selection and lighter fare. Taylor Swift is also rumored to frequent this joint when she's in town, so if you're a fan it's worth a go just for the photo. I don't mess around when I say that this is the best fried chicken I've had in my entire life. I've dreamed of heading back to Nashville simply to stop at Hattie B's. 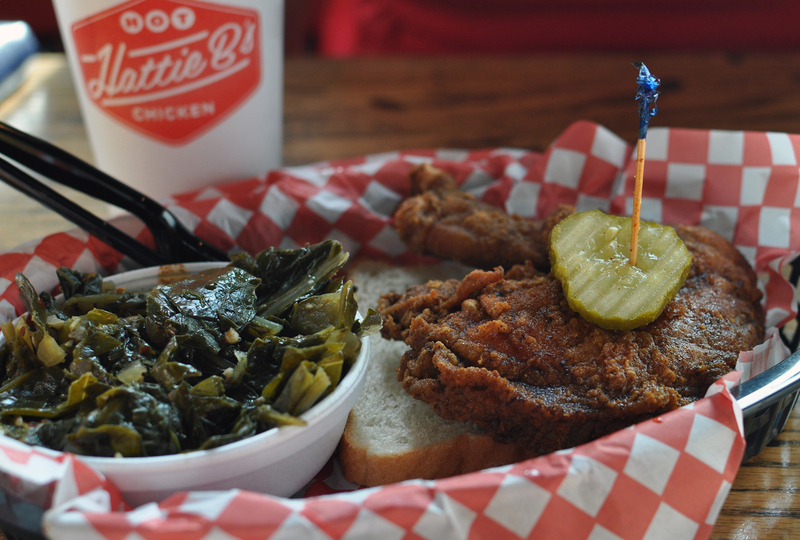 Not only is there just something different about Nashville chicken, Hattie's crew does it RIGHT. I've made believers out of friends with this recommendation. Seriously, if you take only one thing from this list - make it Hattie B's! This is probably the only restaurant I'll recommend based solely on the entertainment. 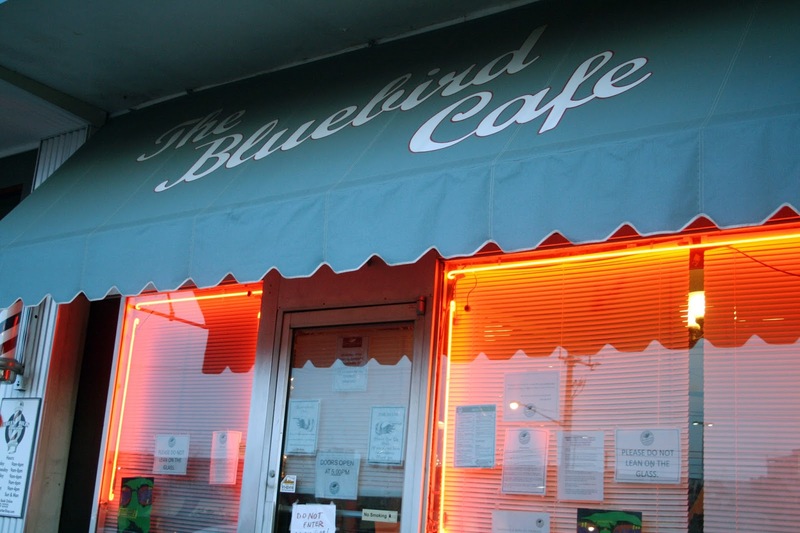 The Bluebird Cafe is a great place to visit for that real Nashville feel. Live music in an intimate setting, and you can't go wrong. At the very least, get a reservation, grab drinks, and see a show. Definitely worth the wait. 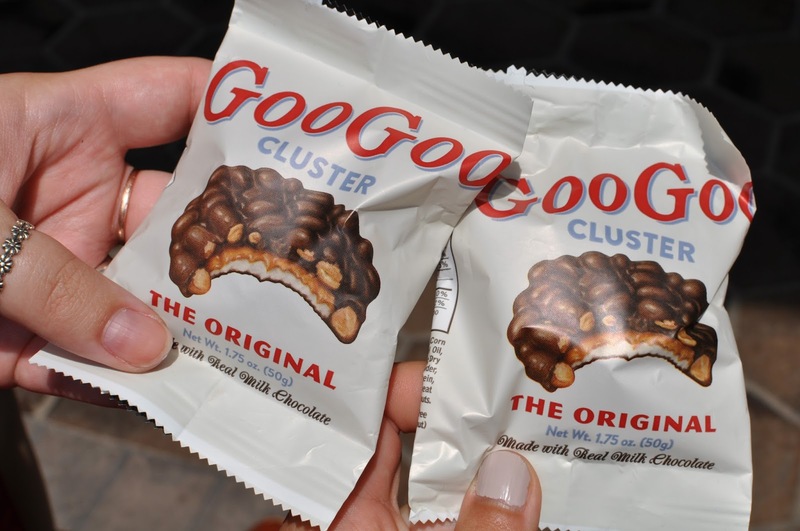 If you've never heard of a GooGoo cluster, I urge you to try to get ahold of one immediately. Think of all your favorite candy bars, and mash them into one. Peanut butter, caramel, nougat, marshmallow? There's a GooGoo for that, and they're made right in Nashville. Pay a visit to their factory and sample each kind - or even take a chocolate class!- and you're sure to find the GooGoo that's right for you. Honorable mention - Pied Piper Creamery - try their Trailer Trash ice cream! Sounds strange but it's a real treat. Their flavors are so creative, and their ice cream is made fresh daily! 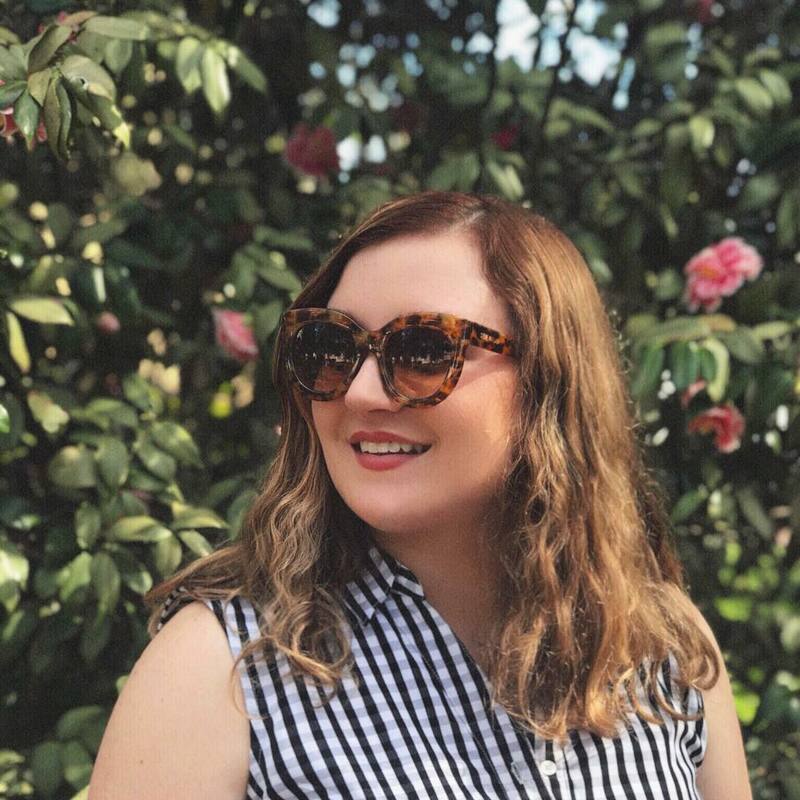 If you're into vintage, campy things, or anything with a Joanna Gaines vibe, check out Cool Stuff Weird Things. It's a treasure trove of old and new, rustic and retro. 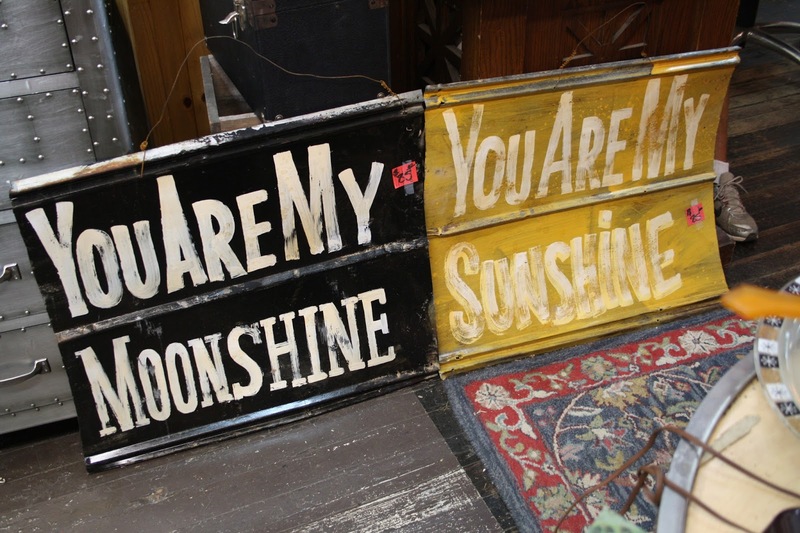 Think metal signs, marquee lights, farmhouse furnishings and vintage knickknacks. Definitely full of Nashville flavor and conversation pieces. Similar to Cool Stuff Weird Things, OMG has a vibe that is distinctly Nashville. This place is like Etsy if Etsy were a brick and mortar store. Think cowboy boots, naughty needleprint, handmade jewelry, and a gold glittery floor. We stayed at the Hutton Hotel and really enjoyed our nights there! Great location, comfy beds, a gorgeous bathroom, and lovely staff. 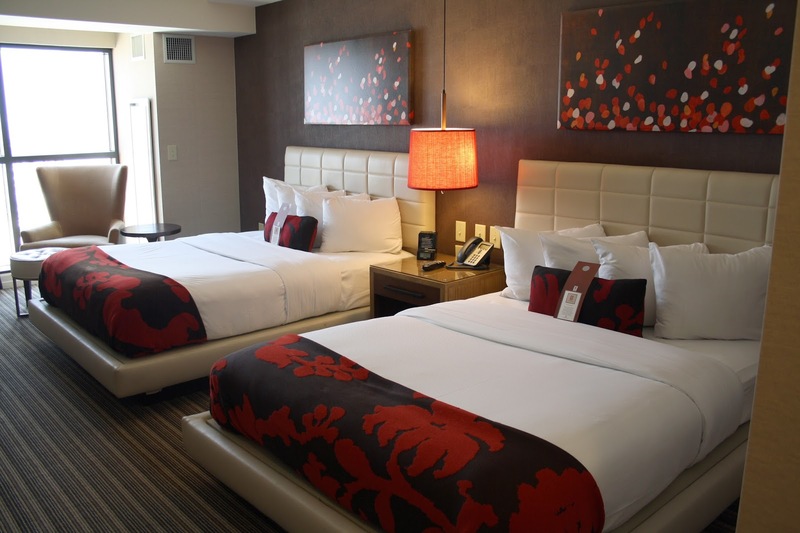 The accommodations made us feel right at home, and we would definitely book again. Be sure to leave your recommendations in the comments! Aaaaaaaand now I want to go back to Nashville. My friend used to live there, and I visited her a while back, but it was so long ago, and I loved the place! I'm pretty sure one of the shops you mentioned is where I got the banjo for my Christmas tree, it feels like the right sort of vibe.